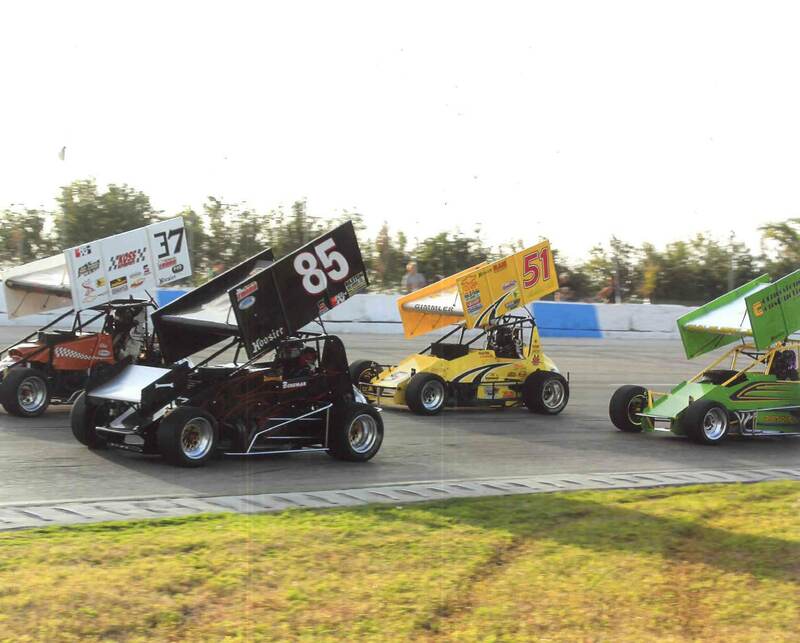 There was no racing going on in Florida, so that means it was time for Little 500 Night! 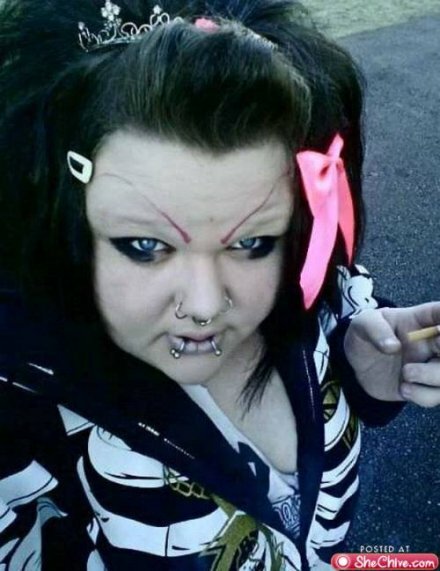 Ok, maybe not. Actually it was a 100+ racers, fans, officials, mechanics and friends of our sport who wanted to have some fun and blow off a little steam! Naturally, there was "NO BUMPING"! An internet poll selected another fabulous trophy queen. 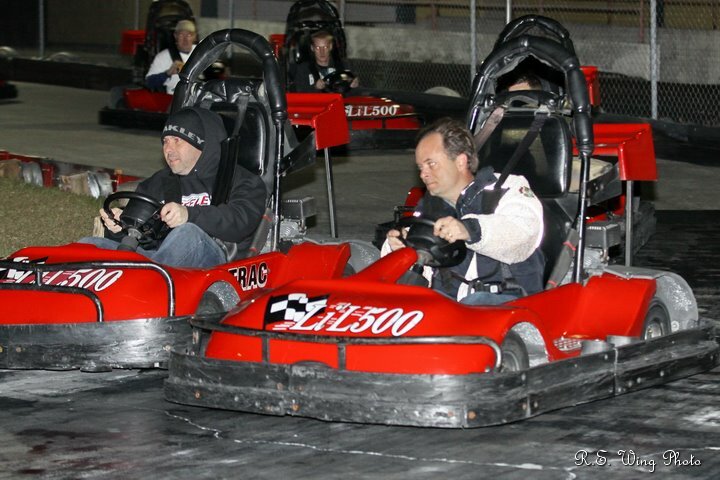 TBARA champion Johnny Gilbertson goes wheel to wheel with Dr. Frasier Crane. 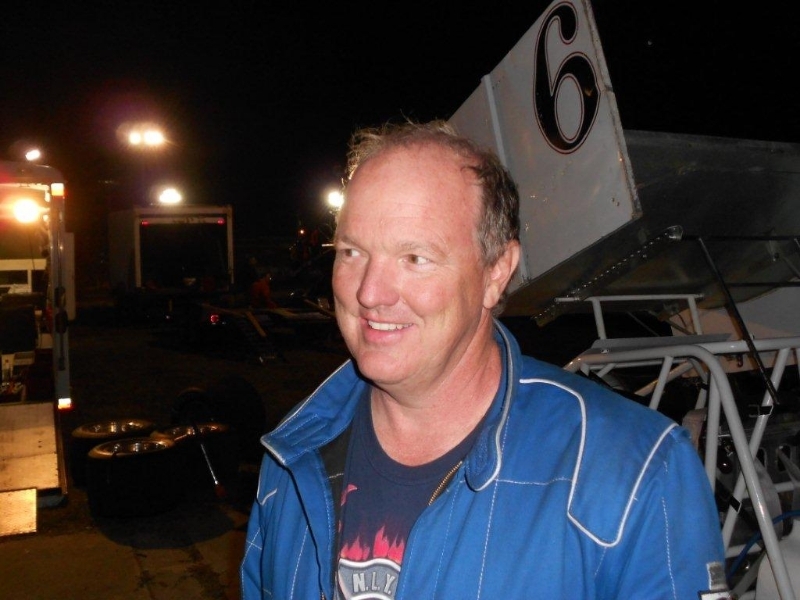 Actually, that is road racer turned E-mod driver, Jeff Bailey. 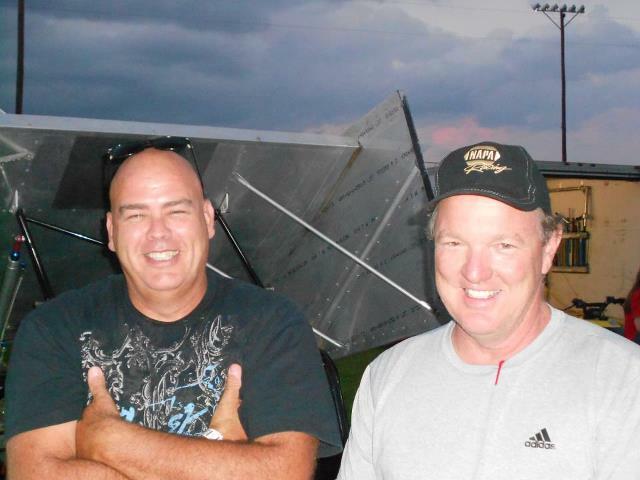 Andy Sandall and "Derf" were on hand to dish it out all night. It looked like everyone had a great time! 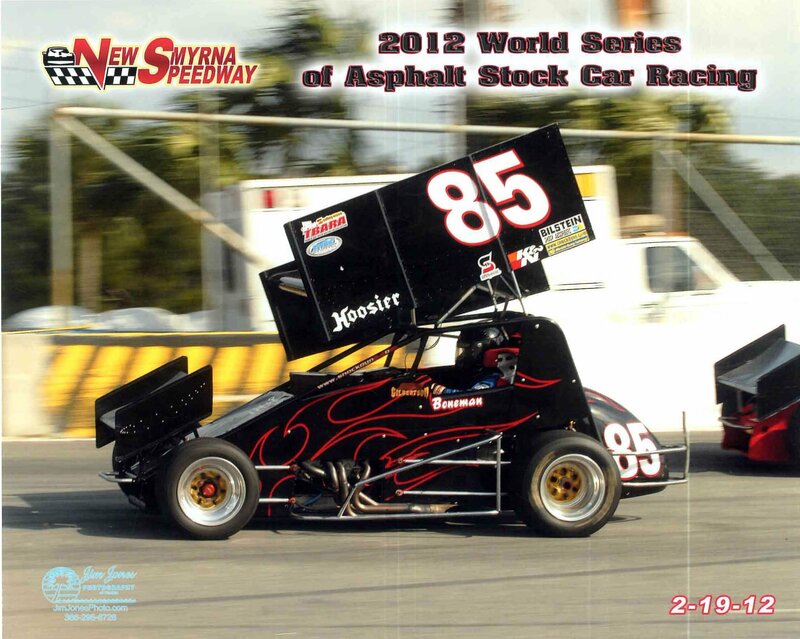 The TBARA ran two nights during the World Series at New Smyrna. 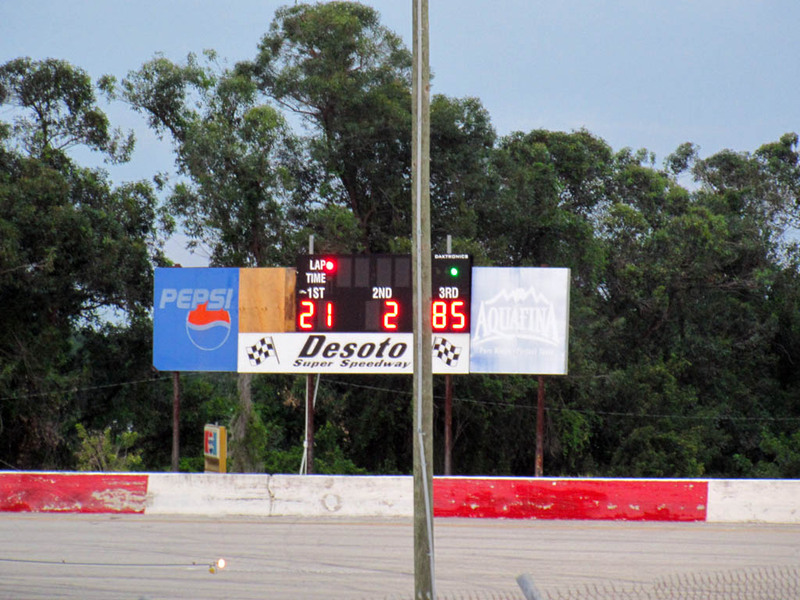 It was my first time in a sprint at this big half mile. 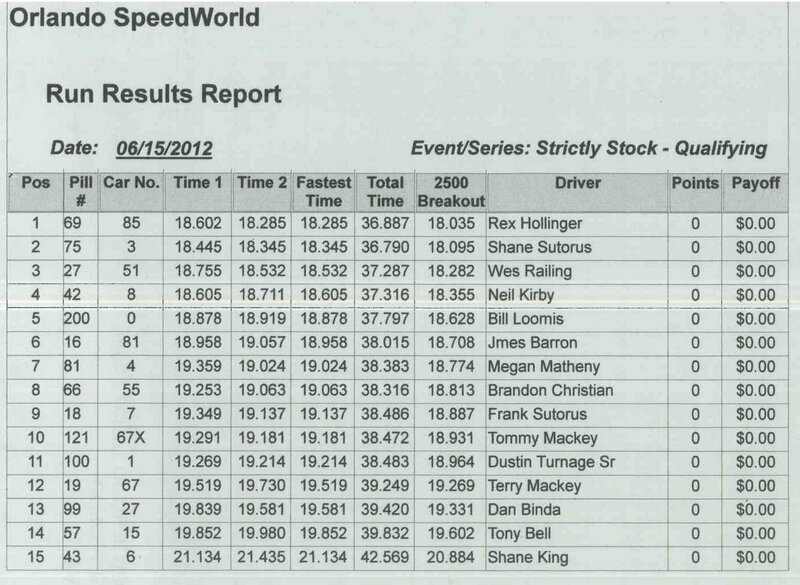 The good news is that the sprint is 4 seconds a lap faster than my mini stocks were, but the bad is that I'm still a second+ behind the fast cars. No matter, I finished both races and LOVED it. 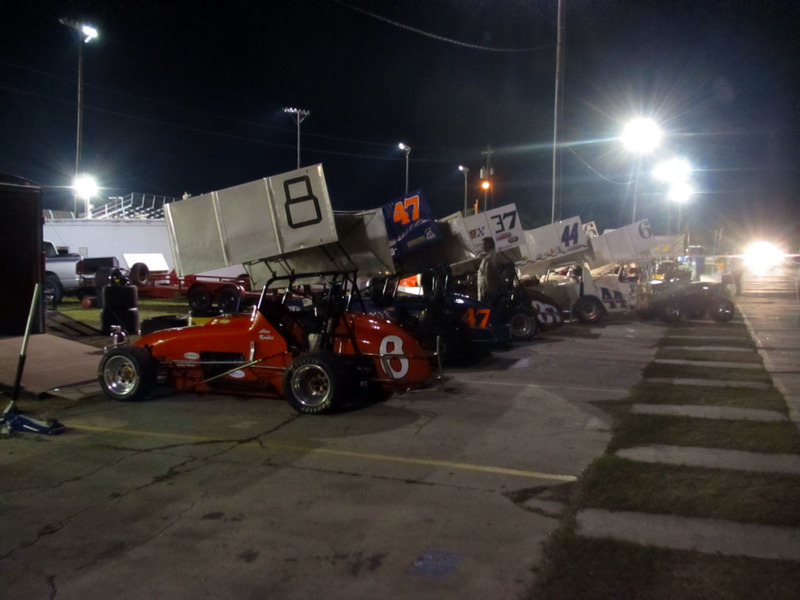 Five days later and we were back in action at De Soto Speedway. I was going pretty well in the heat race, but my right rear tire was leaking in the feature, so I ended up dropping out at half way. There were 13 cars and I ended up 9'th. 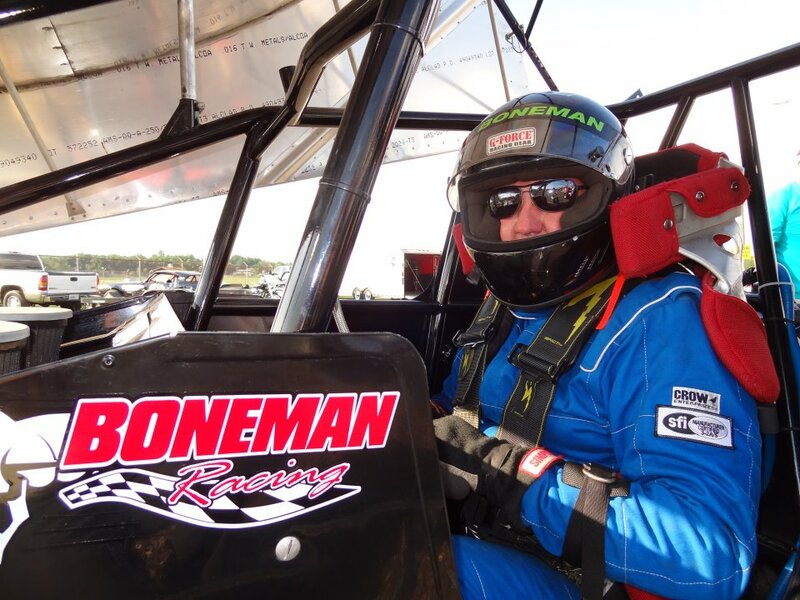 Gotta tell ya, I'm having the most fun I've ever had in racing driving these cars! 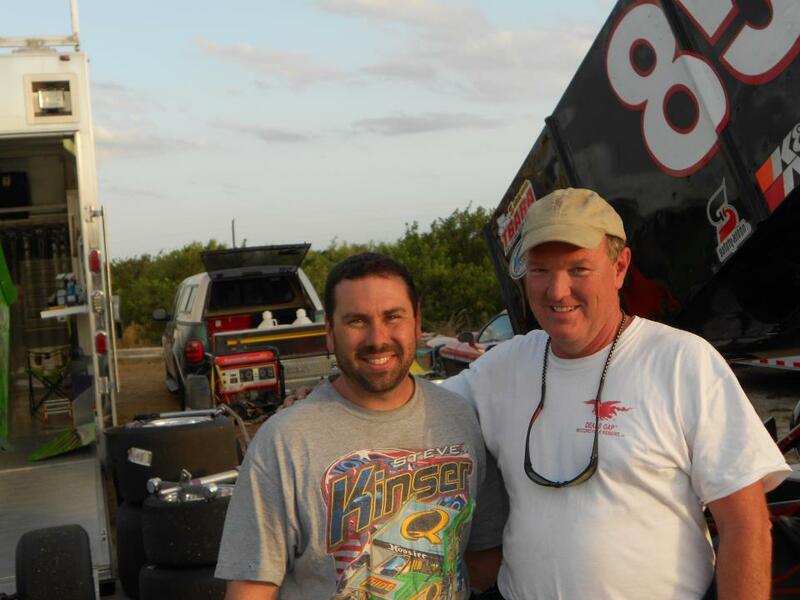 I've been a lucky guy and have had lots of good times racing over the years, but there is nothing like a sprint car! 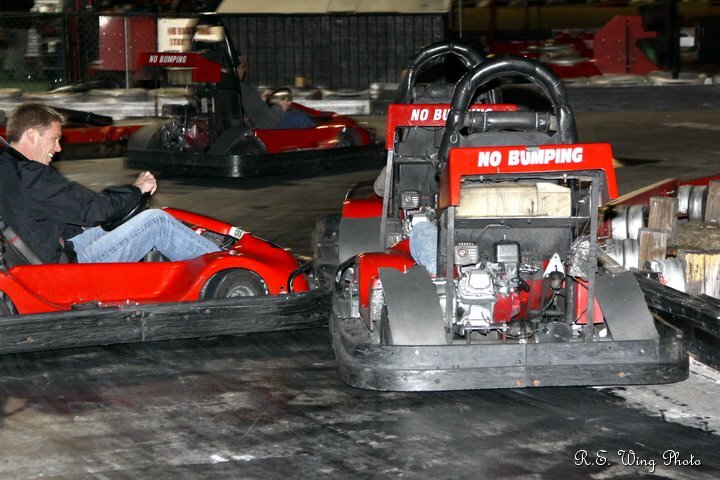 Every racer should try one. It was St. Patrick's Day so I had some fun picking on Andy! From Facebook: "In a warm display of European unity, English racer Andy "McSandall" was thrilled to find the racecar decorated with beautiful Irish shamrocks! "Everyone is a little Irish on St. Paddy's Day", declared Andy just before heading out on the track and scoring a good top 10 finish!" Steven and Christian were back in action on 3-17-12. Christian had an engine problem in the last few laps and finished while pumping out a cloud of blue smoke. Steven kept his win streak going: 10 wins in 10 starts! Andy: "Ok, I'm going to get my firesuit on." Rex: "I'll steam the puddings!" Yes, instead of beer and hamburgers, we had English pudding in our pits tonight. 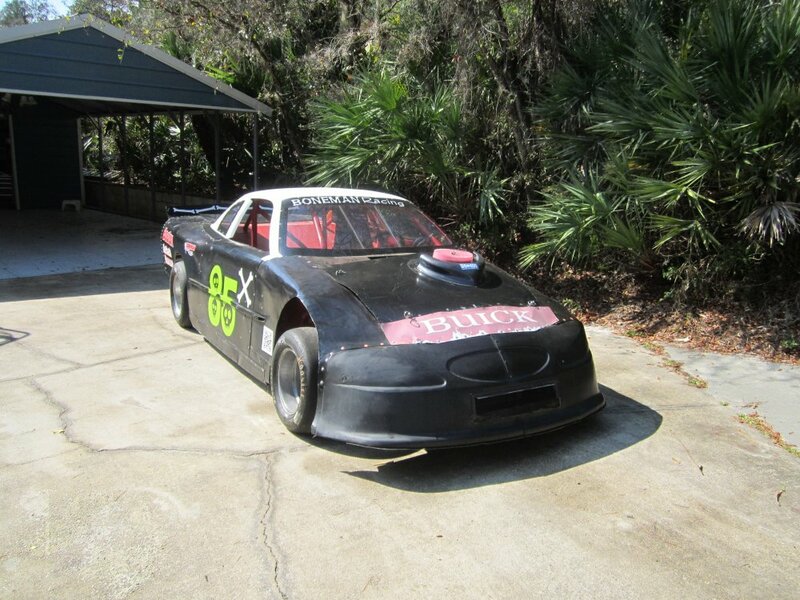 Andy drove the Strictly Stock and finished somewhere. After 7 years, its time to say good bye to the 85X. 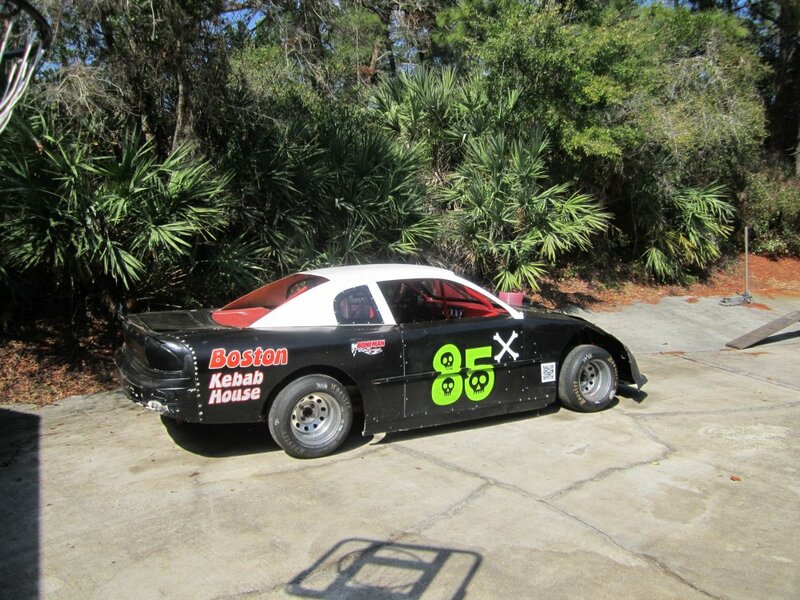 I took it to New Smyrna with a newly rebuilt engine. 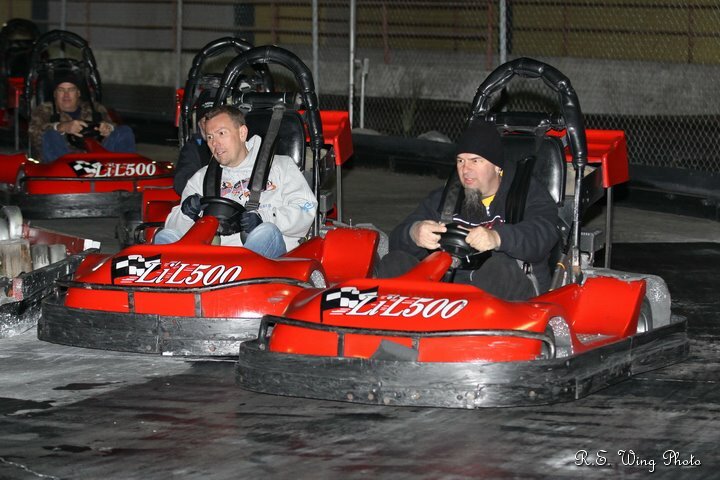 Andy has always wanted to drive it, so he took it out for two practice sessions. 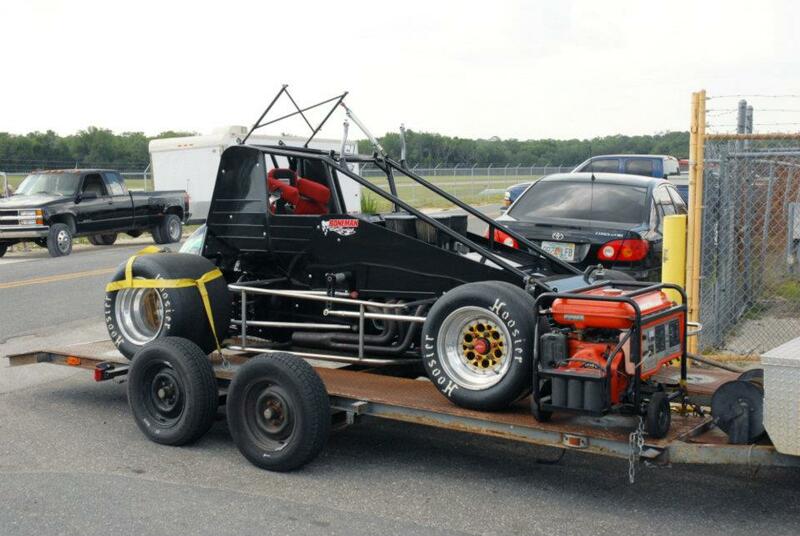 Ricky Solomon bought it and raced it that night. 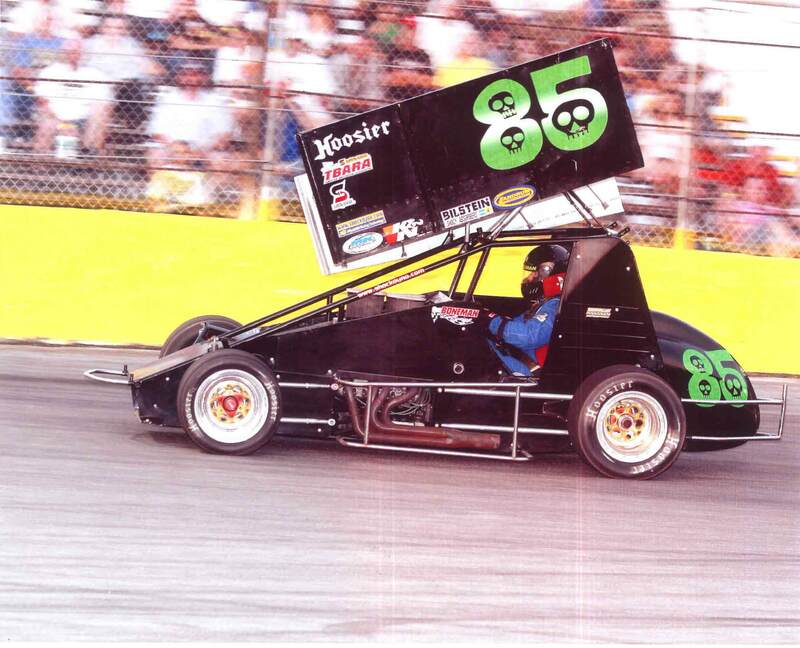 My last trip to Punta Gorda Speedway was on opening night, 1990. 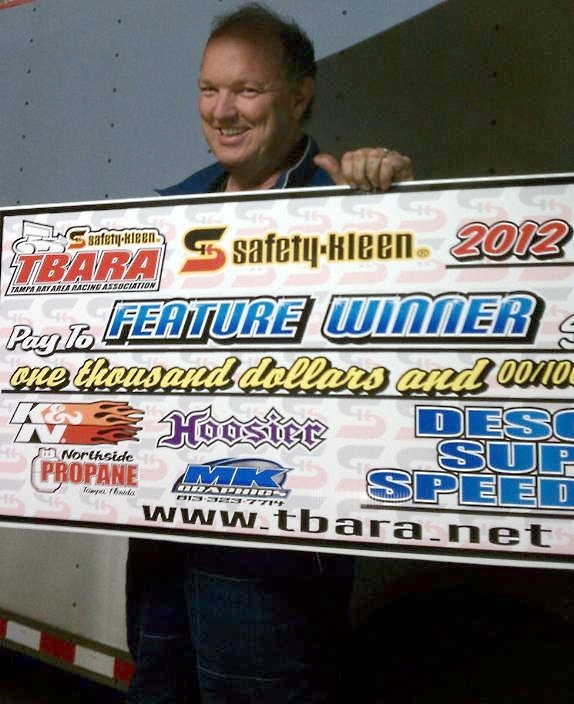 I blew up a mini stock in the heat race and had not been back until THIS excellent night with the TBARA. 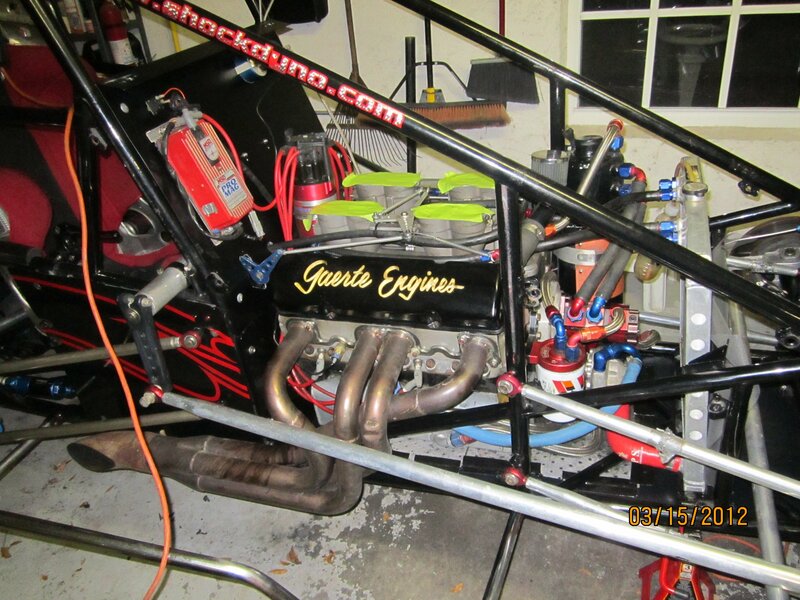 I had 3 quick practice sessions, and wen't out to run the heat. 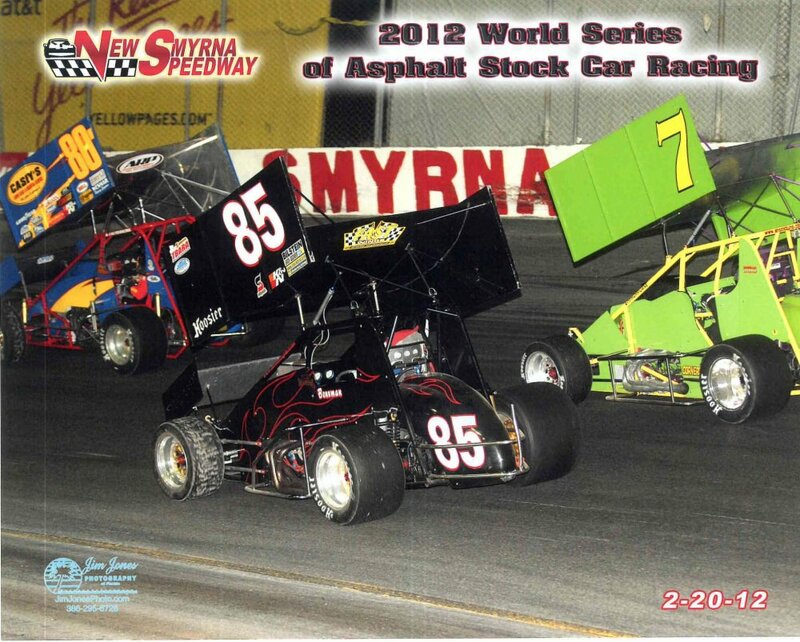 This was the first time I took my starting position with the TBARA, so I went off the pole and led a few laps! 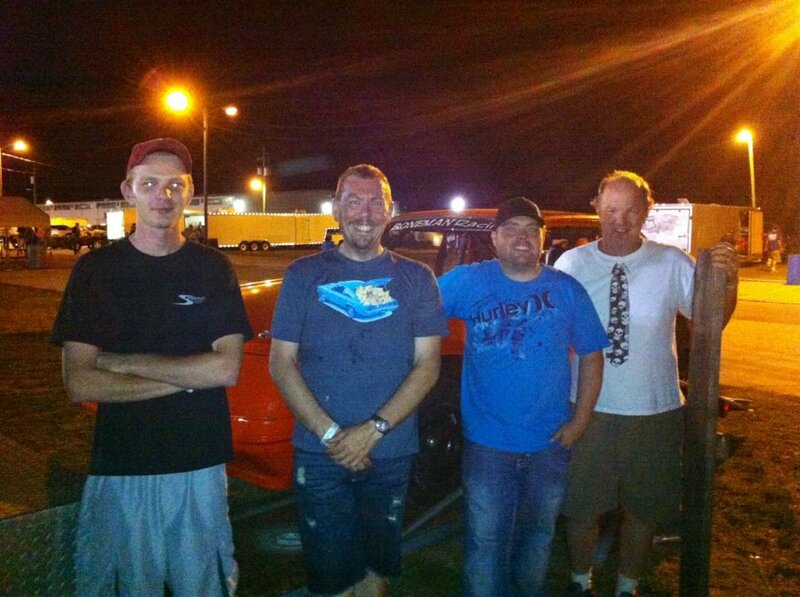 I lined up third in the feature, but it took a while to get around the guy in front of me, so I ended up 7'th but had a great time. 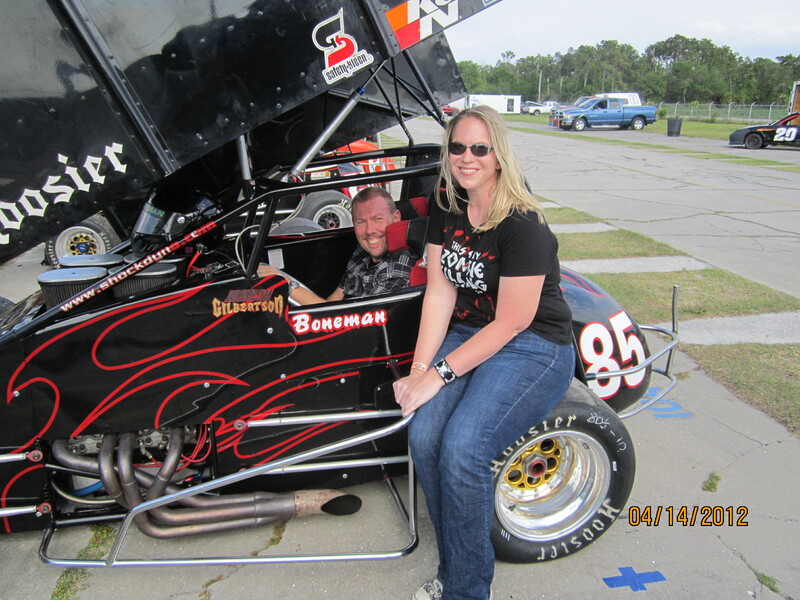 The stands were full and they loved sprint cars! We stopped to eat on the way home with Johnny, and I finally rolled in at 4 am Easter morning. 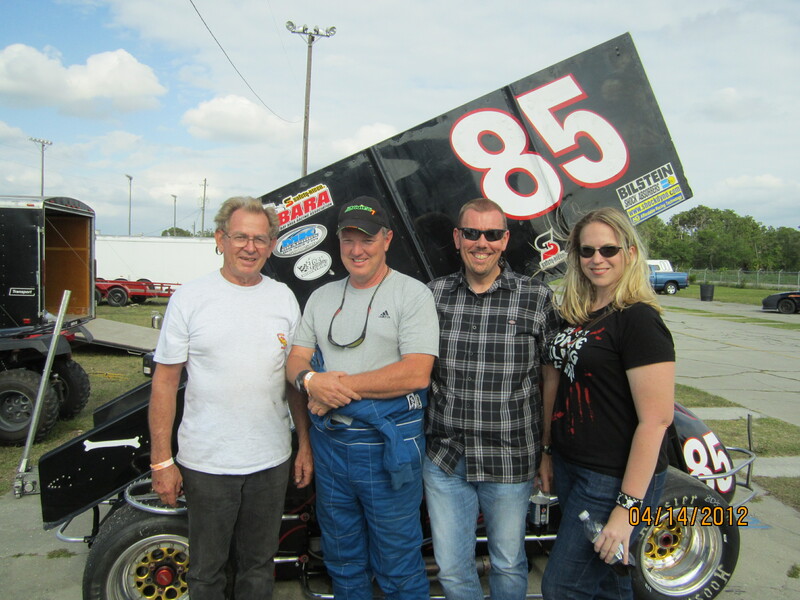 One week later and we were in action at De Soto Speedway. 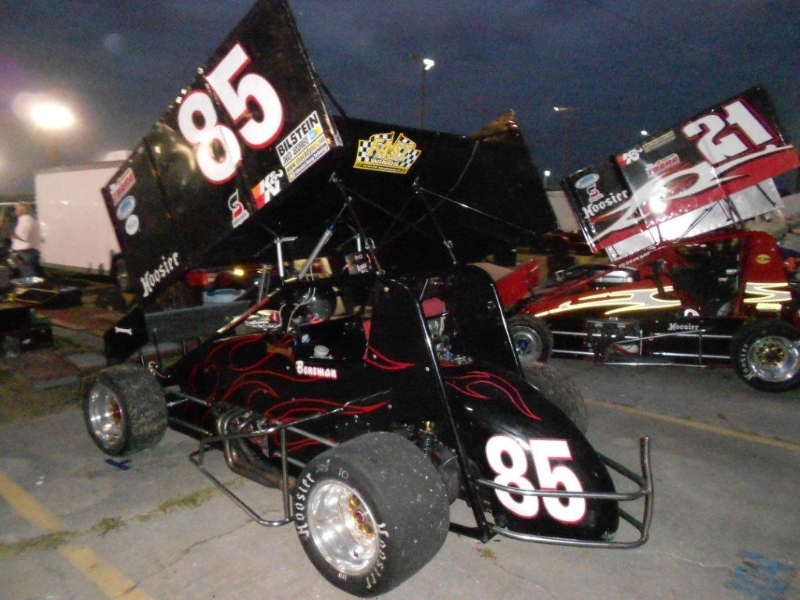 I had my best sprint car finish tonight: 6'th. 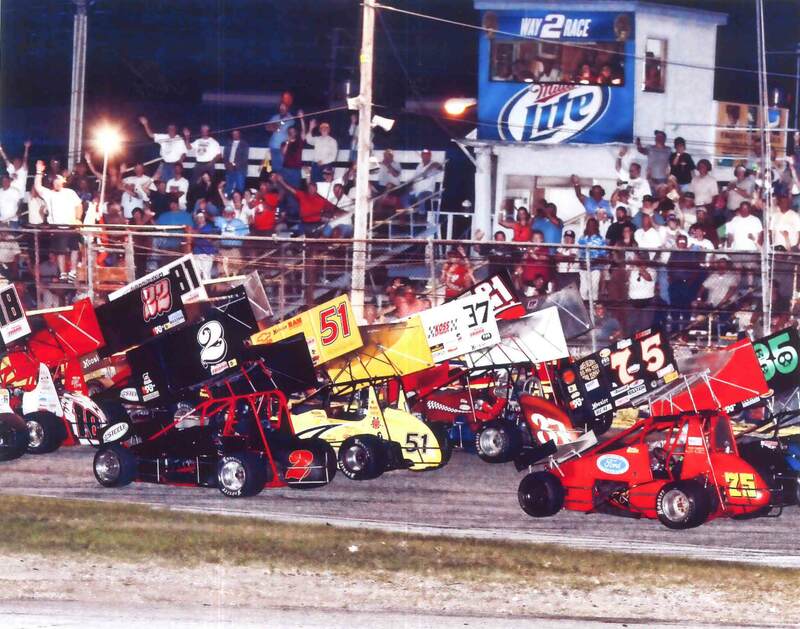 This was the start of the heat race. 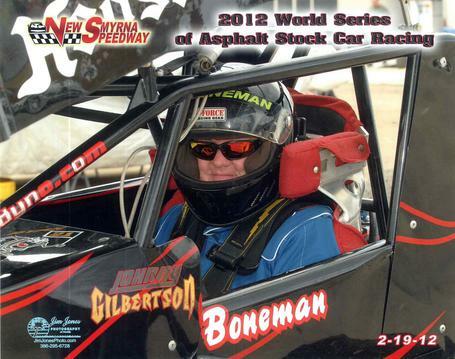 2011 TBARA champion Johnny Gilbertson. He is the guy responsible for starting all of this! 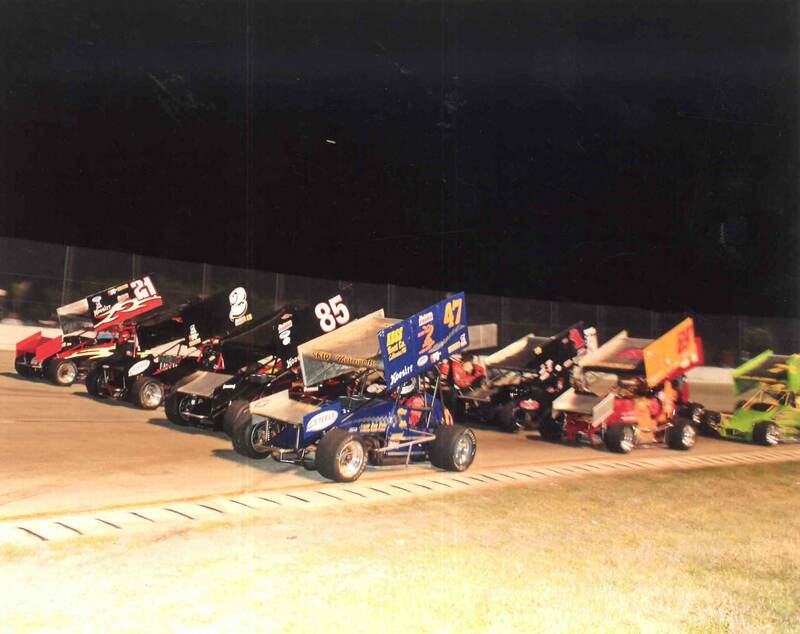 Feature time and the four-wide salute. 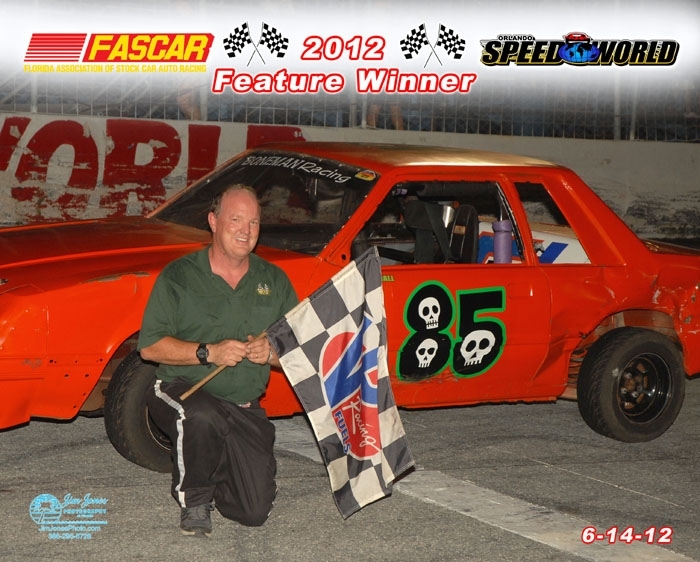 This amazing shot appeared on the morning of April Fool's Day, and it was on the front page of FloridaSprintCarFans.com! I had surprise visitors tonight! 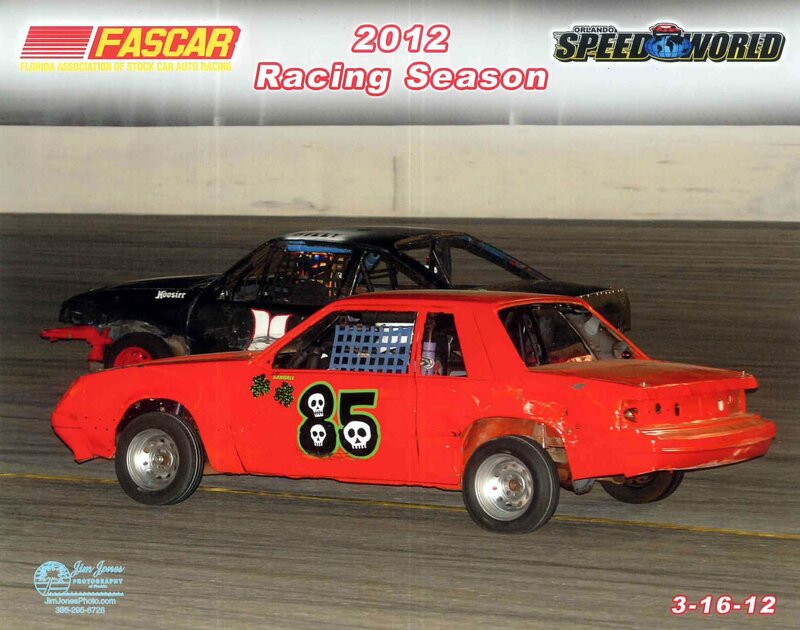 I ended up running third in the heat race. Ron McCreary put down his tools long enough to join us in a picture. The pits at De Soto. Strange but true: I am 4'th in TBARA points. Well, well. I am a car owner! I bought this Hurricane and ran it for the first time tonight. 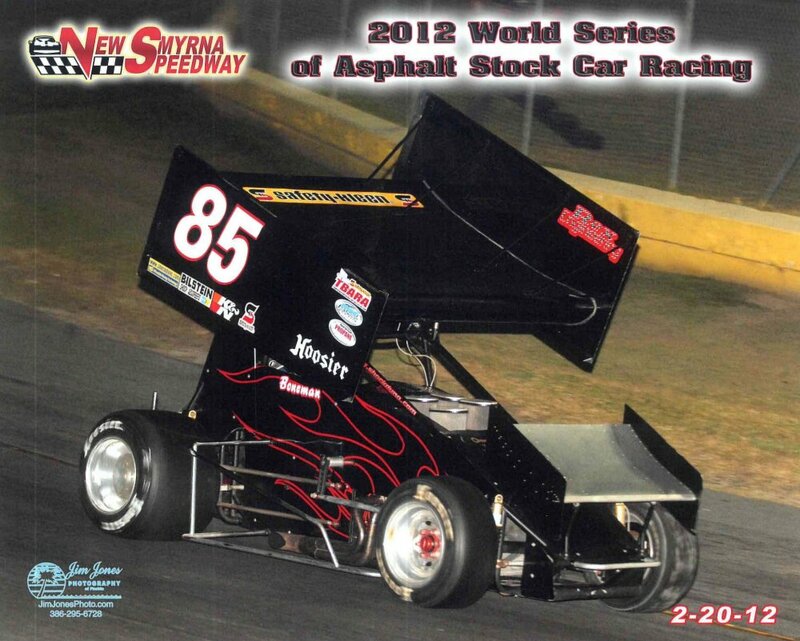 It was my first night in this car, and my first time at Citrus with a wing, so I had some learning to do. 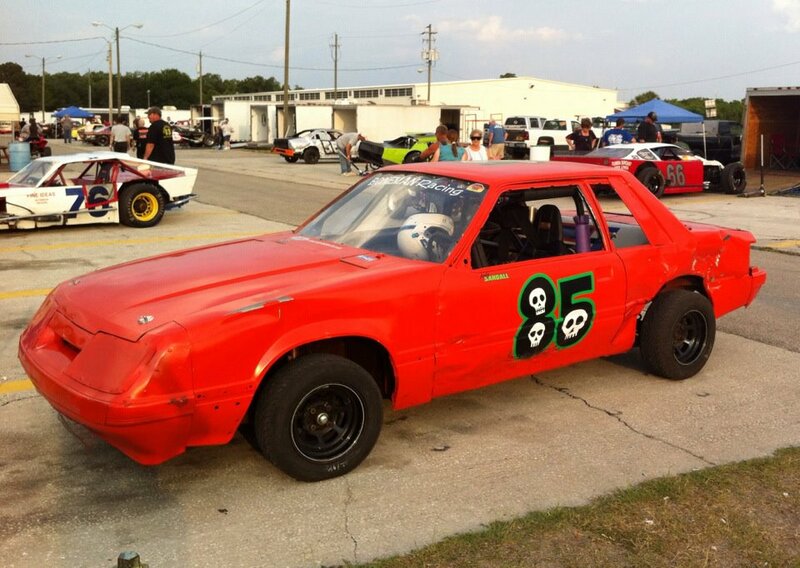 After 1 practice, I was running pretty well in the heat race, but got black-flagged for leaking oil. Although we fixed a leak, we missed another one, so I also got thrown out of the feature. Oh well, I was really happy with my new car, and was pleased to see how well it went. This is not a low-budget team, but it is low overhead! Ouch, two rough nights in a row. 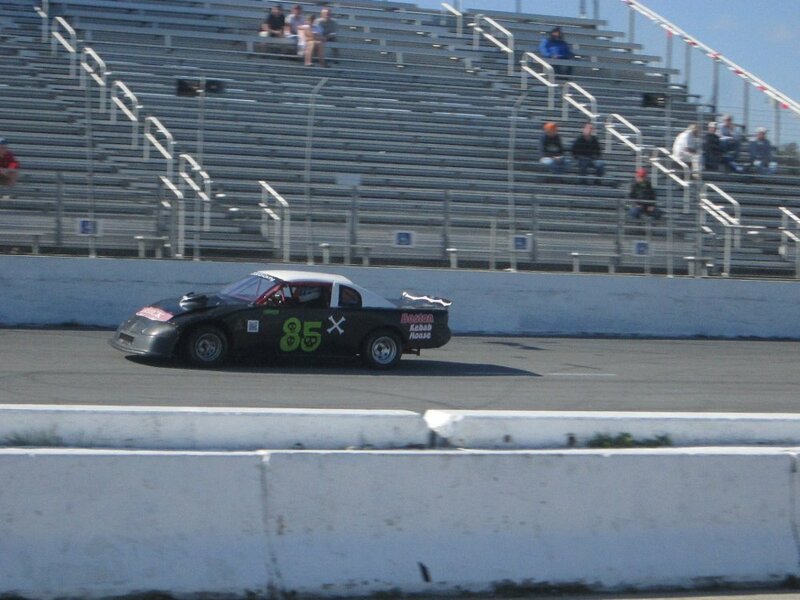 The new car ran great in practice and in the heat race. 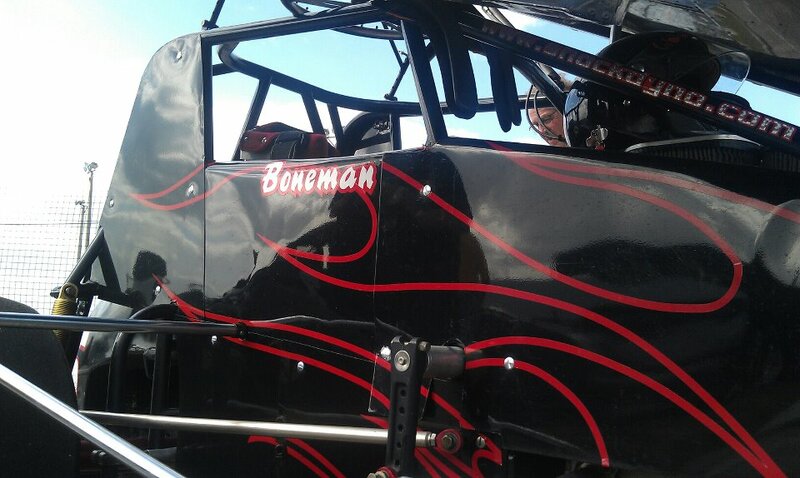 Even hot laps before the feature were fine. 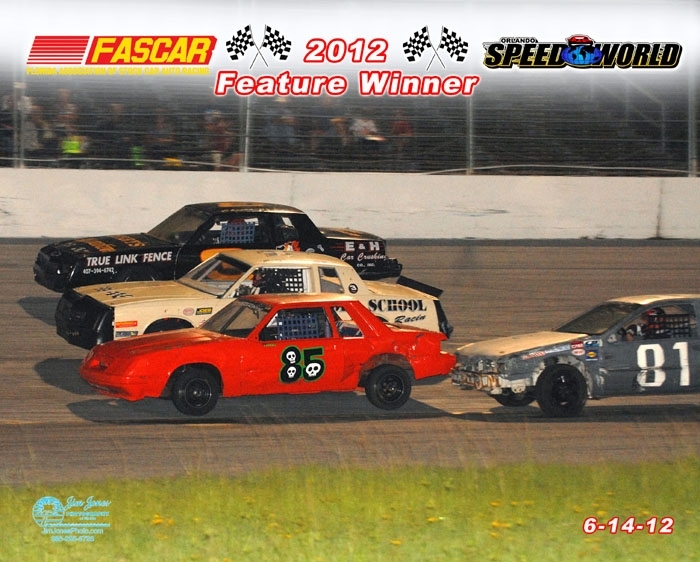 In fact, everything was great until it was time to pull away from the 4-wide salute....the car wouldn't run right! Now I had to make a quick decision; stay on the front row and hope it clears up, or drop to the back of the 18 car field? I stayed on the front row and it didn't clear up. What a frustrating race! I only went about 5 laps and finished 13'th again. I think I would have finished 3'rd or 4'th...sigh. Matt, also known as "Osmosis Jones"! 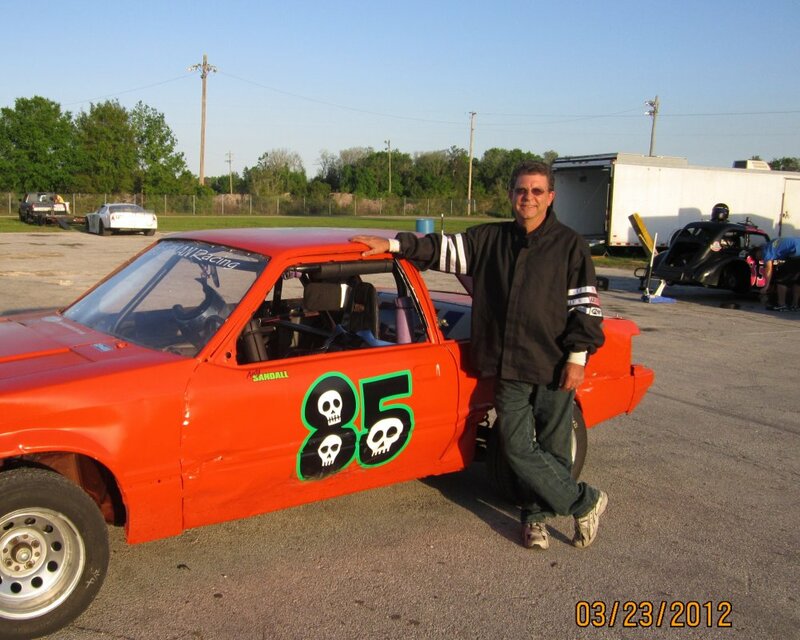 I took the orange car to run in Auburndale's Scrambler class. We had a good time with good friends, both old and new. 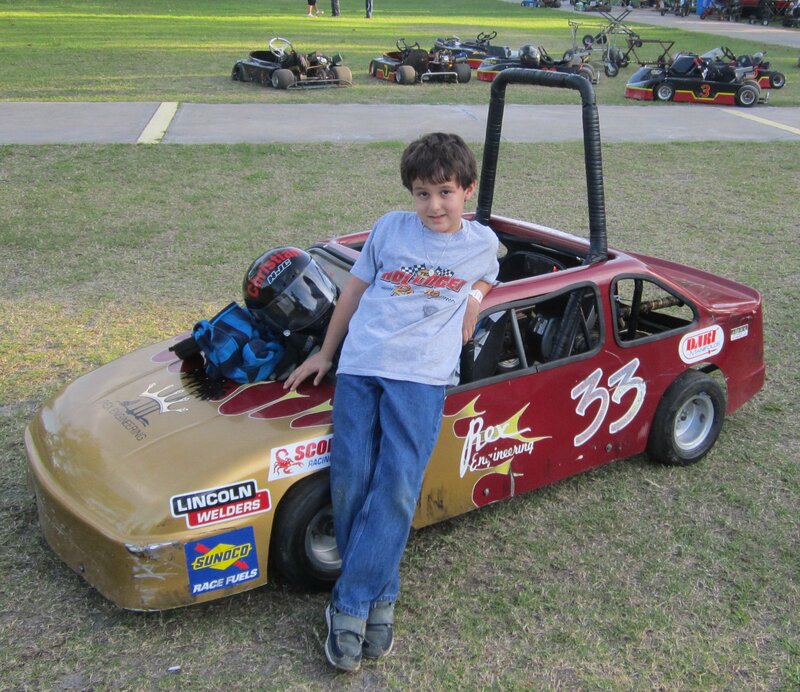 Andy drove the car and managed to crack the top 10 in the field of 7 cars. 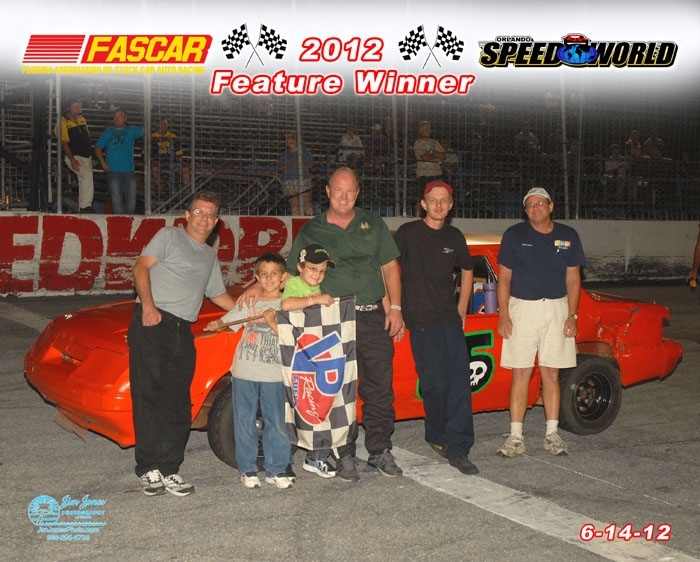 This was my first race in the Strictly Stocks since last fall, and it was the first time Christian and Steven came along to help. What a cool night! I started 7'th in this extra distance 35 lapper, and won going away for a change. My friends Jerry, Michael and Roger all stopped by for pictures too. 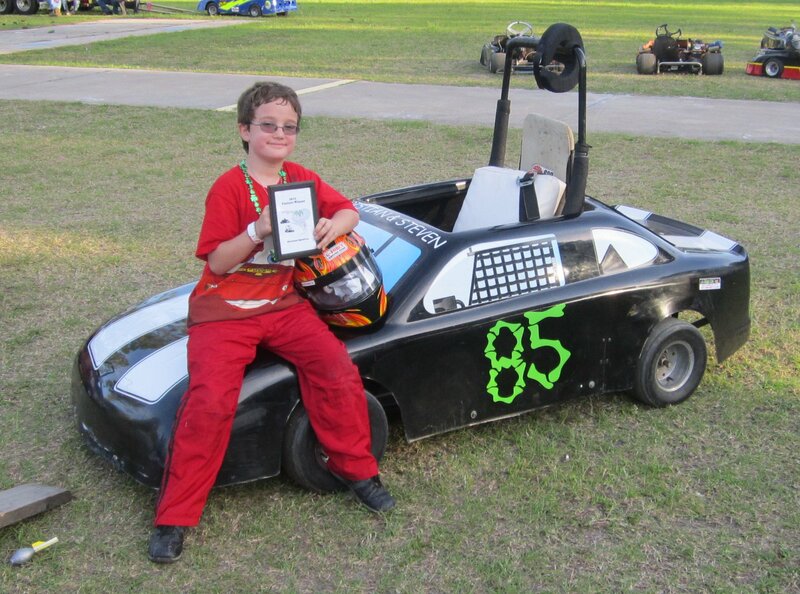 The next night, Christian won his first karting feature......what a Father's Day weekend! 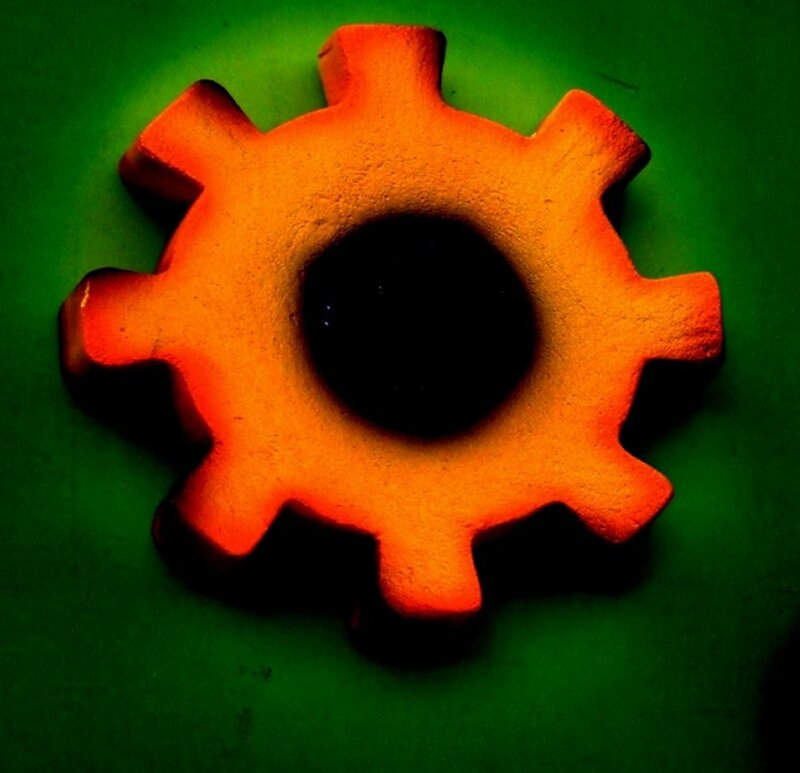 Here is something odd....I set fast time! 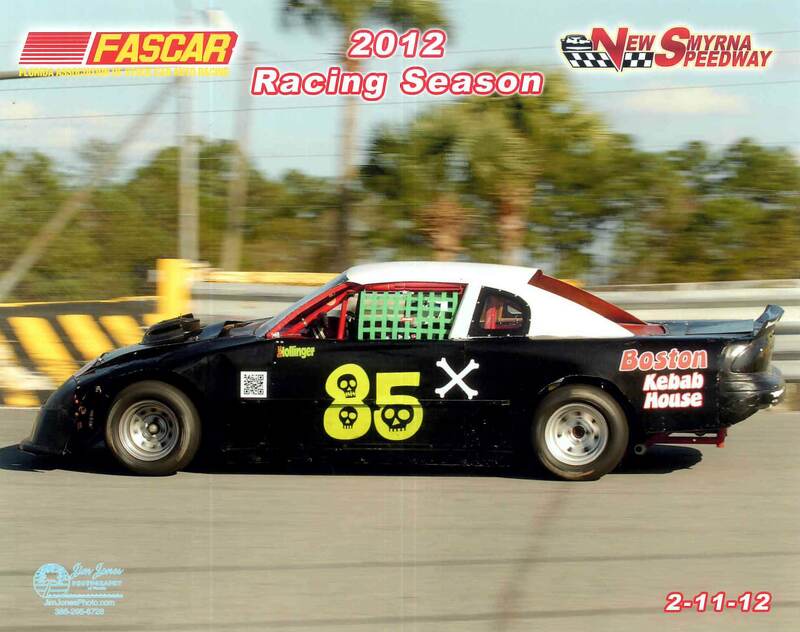 I didn't practice, or even turn a lap since last fall.